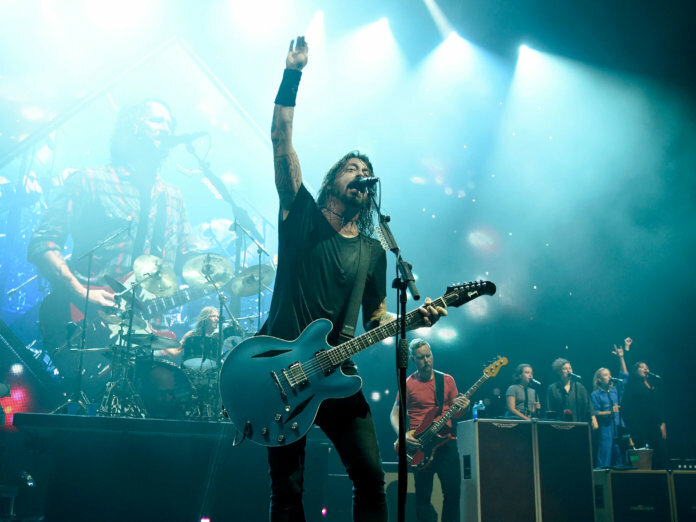 This past Saturday, the Foo Fighters played a sold-out pre-Super Bowl concert in Atlanta. They were joined by a host of music superstars, most notably Zac Brown and Tom Morello, for a special rendition of Black Sabbath’s War Pigs. Morello and Brown weren’t the only guest performers at the star-studded concert: Jane Addiction’s Perry Farrell, Queen’s Roger Taylor, and saxophonist Dave Koz were also on hand to lend their chops to a couple of tunes. The Foos have spent nearly two years on the road touring in support of their ninth full-length, Concrete & Gold. They have four more US dates lined up, before wrapping up the world tour with a summer trek through Europe. You can watch the full concert on Twitter. And find out more tour info at foofighters.com.